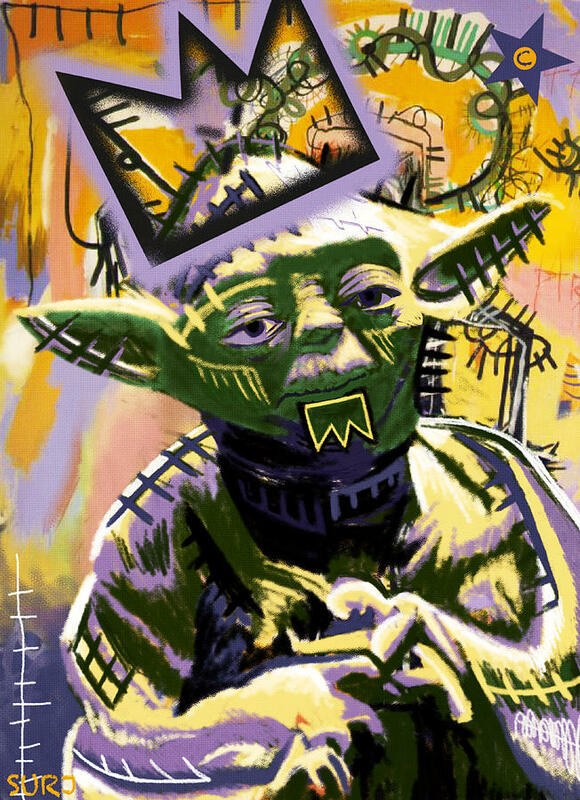 Yoda (Fishing 1981) – This is Yoda channelled through my vision of Basquiat. The color pallet remains intact. We have all the nuances, and CROWNS! War paint and colors abound. . . .and the exclamatory COPYRIGHT symbol. Throw in the fun factor. . . . you’ve got Yoda like you’ve never seen. The FORCE IS STRONG WITH THIS ONE!